Fran McDermott (MSW) began volunteering for Golden Gate Raptor Observatory in the mid-1980s. She was a day-leader at the hawk watch there until 2012 and also coordinator of field trips. She is a past board member of Hawk Migration Association of North America and current Pacific flyway editor for Hawk Migration Studies. 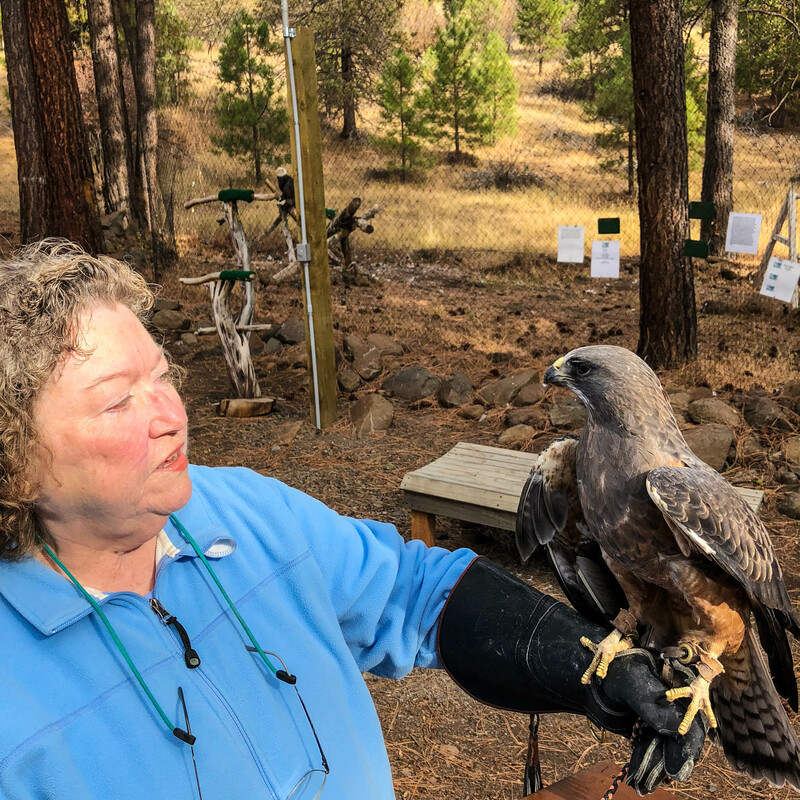 Since moving to the Klamath Basin in 2014, she has participated in the Klamath Basin North winter raptor survey for East Cascades Audubon Society and is a volunteer coordinating raptor field trips for Klamath Audubon’s Winter Wings Festival. After retiring from the National Marrow Donor Program in Spring 2018, she began volunteering at Badger Run Wildlife Rehab.